A Star News TV channel on Sunday aired purported footage of Muslim clerics in the national capital and Uttar Pradesh issuing fatwas for a payment, triggering condemnation from community leaders and protests in Meerut. The clerics allegedly issued fatwas on a variety of subjects, including the use of credit cards and camera phones by Muslims, acting in films, and watching television, said the report on Star News that carried out a sting operation along with Cobrapost in Delhi and Meerut. One of the clerics, Ahmed Nadir Al Qasmi, an official of Delhi-based Islamic Fiqh Academy, was shown allegedly accepting Rs 5,000 for issuing a fatwa. The footage also purportedly showed Maulana Imran, a cleric from Meerut, allegedly demanding Rs 50,000 for issuing five fatwas against the wearing of jeans by girls in Muslim-run institutes and the teaching of English in madrassas. In Meerut, students of a madrassa staged a protest against the clerics, saying the incident had "hurt" the community. Muslim leaders convened a meeting of clerics to decide whether action should be taken against those named in the sting operation. In a statement, Islamic Fiqh Academy general secretary Maulana Khalid Saifullah Rehmani expressed regret at the incident. He said the body had launched a probe and would take action against anyone found guilty. Ahmed Nadir Al Qasmi had been restrained from issuing any more fatwas, he said. Rehmani said the academy was not responsible for Qasmi's actions. He said the academy did not charge anything for fatwas, which were issued only after they had been vetted by at least two clerics. A fatwa is a legal pronouncement in Islam, done by a law specialist on an issue. Usually a fatwa is issued at the request of an individual or a judge to settle a question where "fiqh," Islamic jurisprudence, is unclear. A scholar capable of issuing fatwas is known as a mujtahid or a mufti. In many Muslim countries, e.g. Egypt, Tunisia, etc. there exists an official Mufti position, to which a distinguished expert in the field of Islamic law is named by the authorities of the country. 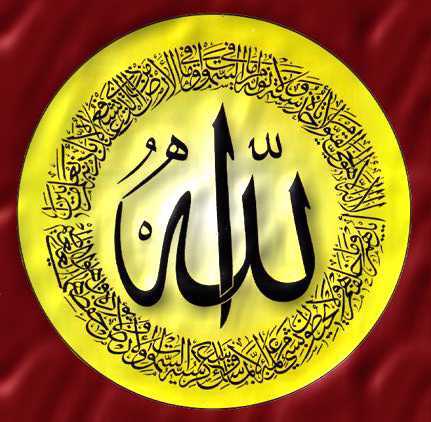 In the early days of Islam, fatawa were pronounced by distinguished scholars to provide guidance to other scholars, judges and citizens on how subtle points of Islamic law should be understood, interpreted or applied. There are strict rules on who is eligible to issue a valid fatwa and who cannot, as well as on the conditions the fatwa must satisfy to be valid. It is adequate with the needs of the contemporary world. Today, with the existence of modern independent States, each with its own legislative system, and/or its own body of ulemas, each country develops and applies its own rules, based on its own interpretation of religious prescriptions. In nations where Islamic law is the basis of civil law, but has not been codified at the national level, as is the case of some Arab countries in the Middle East, fatawa by the national religious leadership are debated prior to being issued. Thus, they are rarely contradictory. If two fatawa were contradictory, the ruling bodies (combined civil and religious law) would attempt to define a compromise interpretation that will eliminate the resulting ambiguity. In these cases, the national theocracies expect fatwa's to be settled law. In the majority of Arab countries, however, Islamic law has been codified in each country according to its own rules, and is interpreted by the judicial system according to the national jurisprudence. Fatawa have no place in the system, except to clarify very unusual or subtle points of law for experts (not covered by the provisions of modern civil law), or to give moral authority to a given interpretation of a rule. In nations where Islamic law is not the basis of law (as is the case in various Asian and African countries), different mujtahids can issue contradictory fatawa. In such cases, Muslims would typically honour the fatwa deriving from the leadership of their religious tradition. For example, Sunni Muslims would favor a Sunni fatwa whereas Shiite would follow a Shi'a one. There exists no international Islamic authority to settle fiqh issues today, in a legislative sense. The closest such organism is the Islamic Fiqh Academy, (a member of the Organization of the Islamic Conference (OIC)), which has 43 member States. But it can only render fatawa that are not binding on anyone. There is a binding rule that saves the fatwa pronouncements from creating judicial havoc, whether within a Muslim country or at the level of the Islamic world in general : it is unanimously agreed that a fatwa is only binding on its author. This was underlined by Sheikh Abdul Mohsen Al-Obeikan, vice-minister of Justice of Saudi Arabia, in an interview with the arabic daily "Asharq al awsat", as recently as on July 9, 2006, in a discussion of the legal value of a fatwa by the Islamic Fiqh Academy (IFA) on the subject of misyar marriage, which had been rendered by IFA on April 12, 2006 (see relevant excerpts in note below). Despite this, some theologians present their fatwas as obligatory, or adopt some "in-between" position. "Fat?wa issued by Al-Azhar are not binding, but they are not just whistling in the wind either; individuals are free to accept them, but Islam recognizes that extenuating circumstances may prevent it. For example, it is the right of Muslims in France who object to the law banning the veil to bring it up to the legislative and judicial authorities. If the judiciary decides in favor of the government because the country is secular, they would be considered to be Muslim individuals acting under compelling circumstances." Otherwise, in his view, they would be expected to adhere to the fatwa. In Morocco, where king Mohammed VI is also Amir al-Muminin (Commander of the faithful), the authorities have tried to organize the field by creating a scholars' council (conseil des oulémas) composed of muslim scholars (ulema) which is the only one allowed to issue fatwas. In this case, a national theocracy could in fact compel intra-national compliance with the fatwa, since a central authority is the source. Muslims in other nations would obviously not be required to obey it. Ayatollah Ruhollah Khomeini in 1989 pronounced a death sentence on Salman Rushdie, the author of the Satanic Verses. Osama bin Laden issued a fatwa in 1998, declaring war on America. "If people ask in the name of religion we must help them. The vehicle of this support is a complete boycott of the enemies' goods. Each riyal, dirham …etc. used to buy their goods eventually becomes bullets to be fired at the hearts of brothers and children in Palestine. For this reason, it is an obligation not to help them (the enemies of Islam) by buying their goods. To buy their goods is to support tyranny, oppression and aggression. Buying goods from them will strengthen them; our duty is to make them as weak as we can. Our obligation is to strengthen our resisting brothers in the Sacred Land as much as we can. If we cannot strengthen the brothers, we have a duty to make the enemy weak. If their weakness cannot be achieved except by boycott, we must boycott them. "American goods, exactly like “Israeli” goods, are forbidden. It is also forbidden to advertise these goods. America today is a second Israel. It totally supports the Zionist entity. The usurper could not do this without the support of America. “Israel’s” unjustified destruction and vandalism of everything has been using American money, American weapons, and the American veto. America has done this for decades without suffering the consequences of any punishment or protests about their oppressive and prejudiced position from the Islamic world. Such fatawa have drawn a great deal of attention in Western media, giving rise to the use of the term fatwa to apply to statements by non-Muslims that advocate an extreme religious or political position. All rights reserved. No part of this publication and other sites of under liveindia.com may be transmitted or reproduced in any form or by any means without prior permission from the publisher Live India Internet Services or Rajesh Chopra, L.C.Premium Cables, 1826, Amar Nath 2nd Building, Bhagirath Palace Delhi - 110006, India. 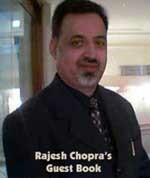 Liveindia.com or Mr.Rajesh Chopra is not responsible for any wrong information under this site, For confirmation of any information it is recomended that you can reconfirm from yours end.